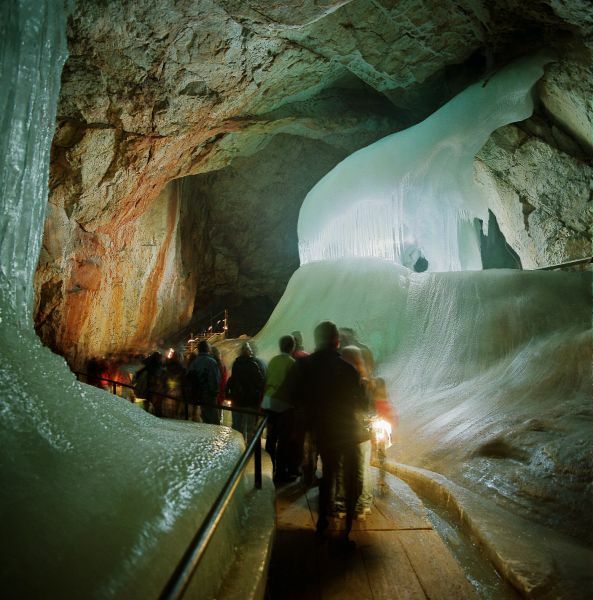 One of the most magical sights to be seen in the Salzburger region awaits you. This spectacular sight is located not too far away from our Hotel. Witness one of nature's wonders consisting of stone and ice! Visit the largest system of ice caves on our planet! 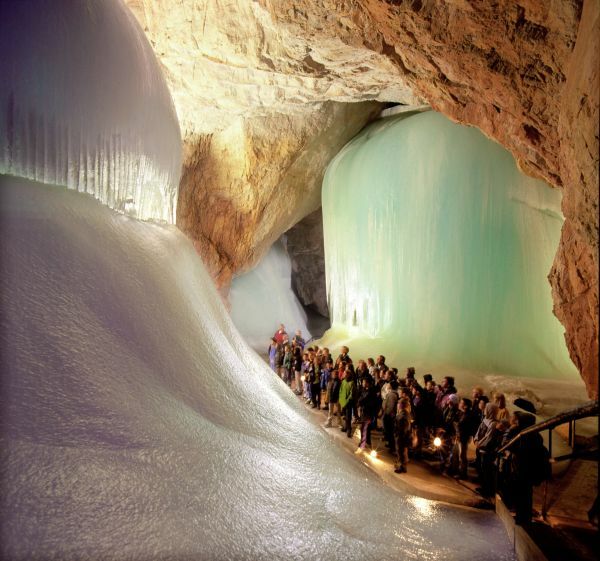 Just 10 kilometres away and easily accessable by car, you will reach the "Eisriesenwelt Werfen" in 15 minutes. This natural phenomenon has offered visitors an unforgettable experience since the year 1928. Allow yourself to be captivated by this wonderful fairy tale world of stone and ice! A unique experience for the whole family as you are guided through this fascinating world. The guided tour lasts approximately 1 hour and 15 minutes. For the total duration of the visit, one should calculate a time of approx 3 to 4 hours. You can visit the ice caves daily from 1. May until 26. October by cable way, direction towards the Hochkogel peak, and then travelling higher up to the ice caves. As an alternative you can walk approx 90 minutes on a foopath through the Tennen mountain range. Details for the Ice caves and their opening times and price lists can be found on the Internet page for Ice caves Werfen.